Synopsis: She has died countless times before, and she is not going to let it happen again. Abbie Harper dies just before her eighteenth birthday. It has happened before, more times than she can remember — and always at the hands of the same man. Her dreams are plagued with past lives, cut short. But this latest dream feels different. Her past life as Penelope Broadhurst — an English pastor’s daughter in 1806 — keeps bleeding into her present life in ways both sinister and familiar. As Penelope meets and falls in love with the dashing Heath Lockwood, so too does Abbie meet the brothers Marcus and Rem Knight. One wants to love her; the other to kill her. 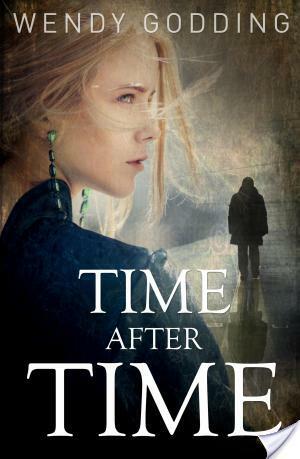 Time is running out for Penelope, but as Abbie mourns her inability to change the past, she chases the slim chance to save her future. To survive, she must solve the puzzle of an ancient love story...and Penelope just might be able to help. Abbie dreams of another life, as Penelope Broadhurst. She paints the same old English buildings again and again. A man with silver eyes haunts her nightmares. And she always dies at 17. [Abbie:] “Each night, when I closed my eyes, I went into their worlds. The other worlds and lives my soul had passed through before coming to this one. In the front of my journal I had a list of all of them — at least, the ones I’d dreamed of so far — as well as a record of how each life had ended. 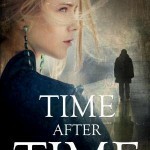 Time After Time flips between 1806 and the present day, between the lives of Abbie and Penelope, with Abbie’s other past lives also featuring from time to time. Over the course of the book, Abbie’s pasts bleed more and more into the now, as she realises that many of the people around her were also in her past life. She has an increasingly pressing sense of oncoming doom. Will Abbie/Penelope’s deadly cycle be broken? This is a contemporary/historical love story with strong romantic elements and a gothic sensibility. It keeps heading in the direction of YA cliches – the love triangle, mesmerising dubcon* stalkerage, jealous high school mean girls – but it manages to sidestep some of these rather deftly (even as it crashes headlong into others). I enjoyed the ride, even though I kept dreading the stock-standard outcomes that seemed to be heading my way. And now, the down side: I did have some issues with the book, especially with the tired trope that goth makeup must mean that you’re “hiding” and “not pretty”. I also have major issues with congenital eye atypicality (iris coloboma, in this case) as a facile, ableist signifier for evil. Why not just make him a guy with albinism, a prosthetic hand, a limp, and facial burn scars? Sheesh! Having said that: otherwise, Godding’s writing is great – fluid and transparent – and I wasn’t repeatedly jerked out of the story at all by awkward imagery or bodgy editing. I wasn’t even 100% sure this was a true paranormal novel till more than halfway through the book, which is not easy to achieve. I would definitely pick up another book by her. [Abbie:] “Randomly picking a book and scanning through its list of contents, I turned to its first chapter. The book was by a woman recalling her previous life as a London debutante in love with a young man who left her broken-hearted. That was why she’d been reincarnated—to reconnect with him. Content notes for dubcon, stalkerage, and rapeyness (and issues with the way this played out); also for stealth psychiatric medication. [yellow_box]Wendy Godding has been writing stories ever since she was a little girl. When not indulging her reading and chocolate addiction, Wendy can be found teaching second grade, running or spending time with her husband and three boys.